New York City CiviDay a Huge Success! Yesterday the New York City CiviCRM group was out in full-force to celebrate CiviDay, an international celebration of the worlds best constituent relationship management solution for Non-Profit, Advocacy and Political organizations. My company, Web Access, along with Rayogram co-hosted the event which was attended by 22 people which included implementers, end users and organization’s who were evaluating CiviCRM. We split the day into two sessions, first a co-working day/help desk led by myself and Kurund Jalmi from the CiviCRM core team, followed by CiviDay Meetup in the evening. Since we had a big group we decided to split into 2 groups, one for more experienced/advanced users and another one for beginners. Advanced group worked together on bug fixes and customizations, while those newer to CiviCRM helped each other through configurations and sharing things they’ve learned in their recent deployments. I think many in this group were surprised to realize how much they actually did know! As a true believer in open source, I was so tremendously proud of the camaraderie throughout the Rayogram office, and with not just the willingness of NYC group to help one another, but also the vigor and passion they showed in solving one another’s issues and sharing their knowledge and experience. The CiviDay Meetup commenced at about 5:30 pm, after some pizza and much needed coffee. It featured talks by Jon Goldberg from Palante Tech, Dana Skallman from the Tadpole Collective, Kurund Jalmi and myself. Jon started the evening with a very interesting and extremely useful session on how to use Kettle ETL to sanitize the bad client data before importing it to CiviCRM. He also demonstrated user friendly drag and drop interface in Kettle and walked through the process to clean up bad emails. I followed, and talked for much longer than I meant too (typical) on the lessons learned, the hard way and shared few best practices in managing client’s through a CiviCRM implementation. 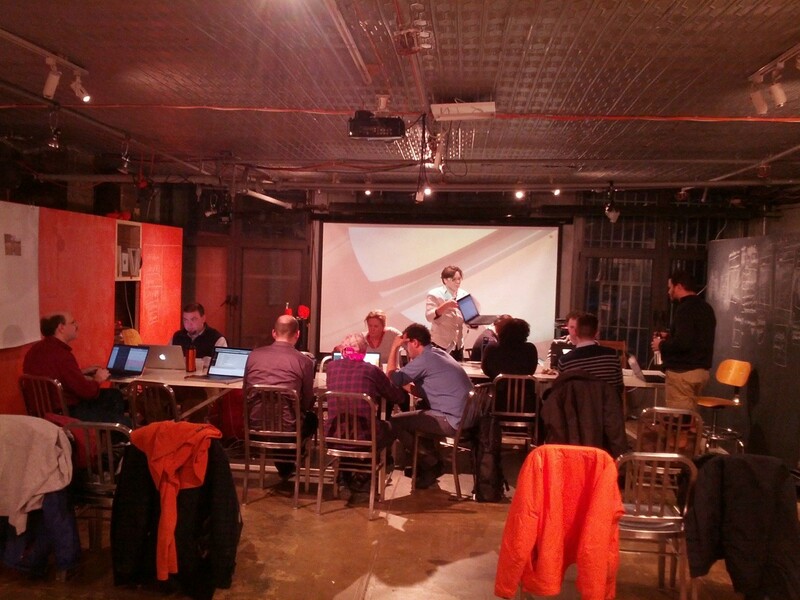 Dana provided a very thorough case study of her recent Wordpress and CiviCRM implementation. She demonstrated not only CiviCRM’s out of the box capabilities with Wordpress, but also the effective use of civicrm extensions for custom functionality specific to her client needs. Kurund closed out the night by his presentation on new features in CiviCRM 4.4 and giving us insight into the future of CiviCRM in 4.5 and beyond. Returning home to Stamford from lower Manhattan I felt simultaneously exhausted but completely invigorated. So much so that Kurund and I did not stop talking, resulting in an additional hour to our trip because of missed exits! CiviDay New York City illustrated the amazing talent, passion and community sentiment within the Tri-State CiviCRM community. In speaking with other organizers worldwide and hearing of similar successes I can honestly say I’ve never been more proud to be a member of the CiviCRM community and the future of our open source project is bright! A very special thanks to Shea and Torin from Rayogram, for all their help!